Honda India is one of the most reputed car makers in the Indian car bazaar. 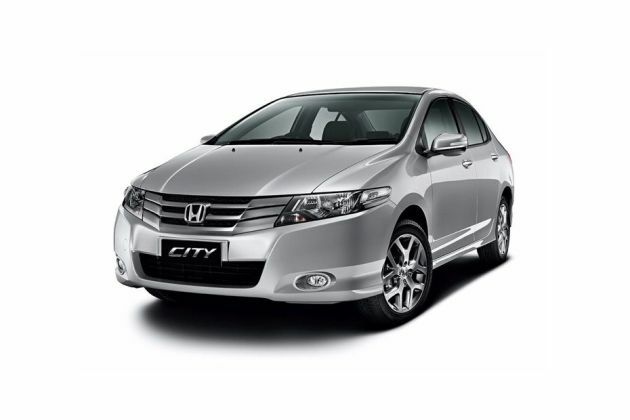 Its famous and prominent sedan, Honda City has been creating waves since the time of its launch. a couple of months back, Honda City was launched with a major facelift and now the car manufacturer has added on another feather to its cap with a new variant in the Honda City sedan line-up. The new Honda City 1.5 S AT is basically a mid-level car model of Honda City S Sedan. The major highlighting feature of the sedan is its five speed automatic transmission that takes the performance of the car to a much higher level. This variant is just Rs. 76000 costlier than the similar model with manual gearbox. The new Honda City 1.5 S AT model is slightly heavy in weight as well and manages to deliver a fuel economy, which is a bit lower than the manual variant. However, one could sacrifice a bit of mileage for superior performance and comfort. The interiors are similar to the manual variant of the sedan and the exteriors are also kept unchanged. Overall, you would get the same premium lavishness with a hit of extra performance with the new Honda City 1.5 S AT. The exteriors of the new Honda City 1.5 S AT have been kept untouched. The sedan still has the same poise and elegance as the Honda City S model. The front portion of the new Honda City 1.5 S AT is well-done, which features sharp pouted nose accompanied by front grille. The headlamp cluster is smartly done that complements the front bumper very nicely. The rear end of the sedan is no less and comes with classy rear bumper and chic tail lights that take the overall exteriors of the car to a higher level. The side profile of the sedan features well-pronounced wheel arches blessed with alloy wheels, body colored door handles and body colored ORVMs. The interiors of the new Honda City 1.5 S AT are blessed with all the elegance and sophistication that one expects from Honda City. The cabin area is neat and has dual tone dash. The instrumental cluster has bleu backlight complemented by silver dials. The multifunctional display positioned just below the speedometer is attractive. The three spoke steering wheel is wrapped with leather and has audio controls mounted on it with cruise control buttons as well. The manual adjustment of the height of the steering wheel could be done with utmost ease. The aluminum sprinkles on the centre console give it a very lavish appearance. The chrome hints are provided on the AC control knobs and air conditioning vents. The sufficient headroom and legroom for the rear seat passengers is close to perfect. The comfort level of the new Honda City 1.5 S AT is as perfect as you could imagine. The company has taken care of the front as well as the rear seat passengers and provided them with numerous advanced comfort features. The car comes with extremely efficient air cooling system with heater and rear AC vents. The audio system is advanced and the audio controls mounted on the steering wheel gives complete comfort to the driver. The audio system has Aux-in and USB interface as well. The power assisted steering wheel and gear shift knob has been wrapped in leather. The luggage storage space is ample that helps making your long trips in Honda City 1.5 S AT perfect. Overall, the comfort level of Honda City 1.5 S AT classy and elegant that becomes the USP of the sedan. The engine and performance of the new Honda City 1.5 S AT is same as before. This new variant of the sedan comes with 1.5 litre of i-VTEC four cylinder petrol engine. The engine has a displacement of 1497cc that produces peak power of 118PS at the rate of 6600rpm and 146Nm of maximum torque at the rate of 4800rpm. This dynamic engine has been cleverly mated with a new five speed automatic gearbox that pushes the car to perform extremely well on road. The mileage delivered by the car is however a bit less as compared to the manual variant of the sedan, but this could be excused with such impressive performance. talking about the acceleration and pickup of the new Honda City 1.5 S AT, the car doesn’t consumes much of a time to go from 0 to 100 km per hour speed mark and go like a bullet on road. The braking and handling of the new Honda City 1.5 S AT is close to perfect. The car has superior braking system comprising of drum brakes for the rear and disc brakes for the front. The anti-lock braking system and electronic brake force distribution system are also present to prevent the wheels from locking up when emergency brakes are applied . The rack and pinion steering system accompanied by power assist makes the handling of the smooth and cool. the suspension system of the Honda City 1.5 S AT model comprise of McPherson Strut with Stabilizer and coil spring suspension for the front and torsion beam axle with stabilizer and coil spring suspension for the rear axle. The safety department of the new Honda City 1.5 S AT is also well-equipped and loaded. The car has taken care of the safety of the car as well as the passengers. The crumple zones of the sedan make sure that the passengers are safe and secure. The protective pretension seat belt along with dual front SRS airbags, active headrests are also present. The active headrests basically avert the whiplash injuries to the driver and front co-passenger. Furthermore, the electronic brake force distribution system with anti lock braking system are also impressive. The high points of the new Honda City 1.5 S AT comprise of five speed automatic transmission, good performance on road.